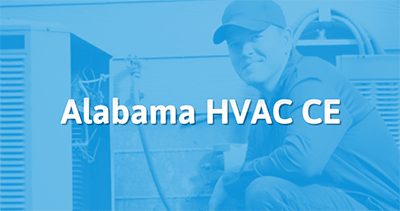 This 4-hour CE course will provide Alabama HVAC technicians with all of the continuing education needed for license renewal. It will focus on the topics of exhibiting professionalism while you work, and the code changes to the IMC between 2006 and 2009. This course includes a 25-question final exam as required by the state. It was very informative and effective in educating me. Great refresher and informative information. I did this from the comfort of my home IT IS GREAT !! Very good course. Great to do this at the office on my time schedule. This course covered the topics very nicely. easy to sit and follow would recommend to anyone not wanting to go sit in class across town. Class was very well done got me familiar with the code book all over Again . The course was very informative, and interesting! Thank you for making this course available on all devices. Good, not only covered the changes that were made, and pointed out past loopholes used, but even addressed more changes that could/should be made. It was very educational, I’m 59 and been doing this all my life , so normally I don’t like a long course like this , but it was very in lighting and educational. So I enjoyed it . Well-paced. I appreciate that the course didn't go overboard trying to slow down the pace of learning while also limiting the rate at which you could advance through the courses so that others can't simply "click" their way through a 4-hour CE course in 15 minutes. I wish you had a more variety in courses to choose from. If I'm not mistaken, I had the same type, including codes, last year.